We’ve pulled references from literature, film and history in order to compile a list of amazing yearbook quotes ideas perfect for any yearbook. Whether you’re looking for a funny, inspirational or even motivational yearbook quote, I’m certain there’s one for you here. Trying to sum up your experience in just a few words or sentences is difficult, especially when it’s been years of your life in the process. Quotes are something we love. They’re everywhere. They sit at the back of your mind and inspire and motivate you. Signing off your profile with a memorable quote is a great way to leave your mark! Everyone knows Shakespeare and his work! A popular choice for many students is to use the words of Sir William Shakespeare to sum up their school days, including Hollywood actor Christopher Walken who used an extract in his senior school yearbook. Got any film fans among you? If so then why not include a quote from one of your favourite films? Everyone has at least one film they can watch on repeat and quote every line of so why not include as your yearbook quote. A funny yearbook quote to make them laugh! I don’t know what to write, can you just put some quote in for me? For all the inspirational people out there. “You have brains in your head. You have feet in your shoes. You can steer yourself in any direction you choose. – Dr. Seuss, taken from Oh, the Places You’ll Go! Now you’re ready to start creating your yearbook and have some awesome content to get started. 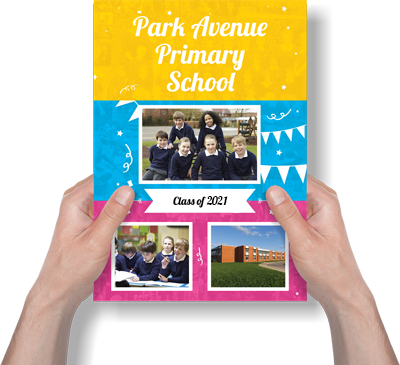 Our info hub has a great example of how to add Pupil Profile pages to your yearbook. If you need a little more inspiration here is a great article with some more fun yearbook quotes for your pupils to try out.